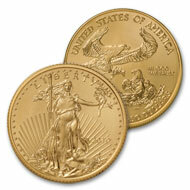 2010 $50 Gold Eagles are available now. Considering the rising price of gold over the years, adding these 2010 Uncirculated Gold Eagles to your holdings right now could be a wise move. The pristine quality and sharp strikes of these coins are highly valued by collectors.